The Red Hat Accelerators program is a global customer network of Red Hat technology experts and enthusiasts who willingly share their IT knowledge and expertise with peers in the industry, the community, and with Red Hat. One of the many benefits of being a Red Hat Accelerator is officially identifying yourself as a Red Hat Accelerator. A digital badge lets others know you are a part of our exclusive community group. Red Hat Accelerator badges may be used on personal websites, blogs, email signatures and social media networks. The details on proper usage of the digital badges will be provided to Red Hat Accelerators upon accepting membership to the program. Becoming a member has its benefits. As a Red Hat Accelerator, you’ll bolster your Red Hat technology knowledge, skills, and profile. Members join a unique community of Red Hat customers and users just like you, providing the opportunity to network, learn from, and share your passion and interests. Members gain special privileges, including early access to products and technologies, cool swag merchandise, and VIP treatment at sponsored events. You’ll get direct access to Red Hat experts, product team members, and materials, allowing you to share your experience and provide feedback to influence product development and feature/function improvements. Gain validation of your expertise and get the recognition you deserve by helping to build your public profile and persona. You have a unique set of experiences and expertise with Red Hat products. Share, contribute, and teach others in the community during technical discussions, group meetings, and events. We want to hear from you, understand your unique IT needs, and build a long-term partnership your business relies on. This is your opportunity to be part of our unique customer community—sharing your feedback, insight, and experiences while networking with like-minded industry experts and gaining new professional skills along the way. Accelerator members provide trusted feedback, from real-world experience. We need your input to help us improve. Members are encouraged to speak publicly and share their experience, knowledge, and solutions using Red hat technologies. 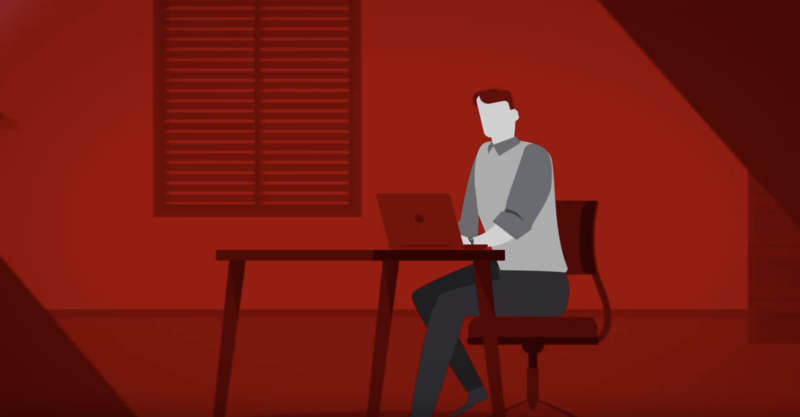 Your unique membership periodocally provides early access to new products and features, before they are released, giving you the opportunity to see, demo, and validate Red Hat technologies for product teams. Your experiences help us understand your unique IT requirements. These help us develop products you need to solve your most difficult business challenges. Below you will find the program Terms of the Red Hat Accelerators program. If you still have questions after reviewing these program Terms, please email us at redhataccelerators@redhat.com. What is the Red Hat Accelerators program? The Red Hat Accelerators program is a global network of technical experts and enthusiasts who are passionate about Red Hat's products, services and technologies. The program engages, amplifies and celebrates those who are willing to share their IT knowledge and expertise with peers in the community and Red Hat. What are the benefits of becoming a Red Hat Accelerator? Becoming a Red Hat Accelerator means being publicly recognized for your valuable contributions and achievements. As a part of this exclusive community group, Red Hat Accelerators will have an opportunity to network with industry peers, gain valuable knowledge and insights, participate in product, service and technology discussions and represent the voice of the customer back into Red Hat. What are the requirements of becoming a Red Hat Accelerator? As well as additional opportunities that present themselves throughout the year. We are looking for IT professionals who have a strong opinion and are open to sharing their unique knowledge and perspective on Red Hat products, services, and technologies with the community and Red Hat directly. You are passionate about Red Hat and in your spare time, love to write, blog, tweet, and share your thoughts and experiences publicly. You are active in forums and speak at conferences and trade shows. You have participated and given your unique insights in webinars, video technical talks, podcasts, and other platforms. What is the process for becoming a Red Hat Accelerator? If you have a question, please send an email to: redhataccelerators@redhat.com. What are the guidelines (i.e., the "dos and don'ts") for maintaining membership? At Red Hat, we place a high value in our standards and integrity. As a member of the Red Hat Accelerators community, you are part of a unique membership group. As a Red Hat Accelerator, we ask that you agree, adhere to and respect those within the community and Red Hat. Attempting to sell, solicit, or otherwise lure other community members for your own personal or company’s benefit. "While I am not a representative of Red Hat and my views about Red Hat are my own, I am a member of Red Hat Accelerators community which gives me a connection to Red Hat and through which I engage with other Red Hat Accelerators." Who would and would not be eligible to become a Red Hat Accelerator? The ideal Red Hat Accelerator must be of legal age of majority in their respective jurisdiction (State, Province, or country of primary residence). Red Hat Accelerators are tech enthusiasts who are passionate about Red Hat's products, services and technologies. Membership is to individuals, not companies and is not transferable. We are currently accepting applications from the United States, Canada, and Europe. Members will not be chosen from a country that appears on a United States Government exclusion list. This also applies to persons who are listed on United States Government list of excluded people. Federal and State Government employees are not eligible. Market research analysts and financial analysts, who are paid to analyze market forecast and financial forecast trends are not eligible. Current Red Hat employees are also not eligible. If anyone who is subject to any policies (such as those of an employer) that would prohibit the individual from receiving gifts or other benefits, such as may be provided by this program, the individual must inform Red Hat prior to accepting membership, so Red Hat may exclude them from receiving any gifts. I work for a Red Hat competitor, would I be eligible to become a Red Hat Accelerator? As an IT expert, thought leader, active blogger, and/or member of the IT community, you are eligible to join. This includes candidates that contribute to one area of the Red Hat product portfolio, but who also work for a vendor who may be competing in another area of the product portfolio. Red Hat reserves the right to limit access of any events and early preview to upcoming Red Hat product, service and technology launches from someone who is a potential competitor. We appreciate your willingness to be upfront about your status during the membership onboarding process. Who selects the Red Hat Accelerators? The Red Hat Accelerator program team will decide who becomes a Red Hat Accelerator. Red Hat Accelerator memberships will be granted to those who best meet and exceed the criteria outlined in the member criteria section above. Legal disclaimer: Red Hat reserves the right to select an Accelerator at it's sole discretion. How long is the full duration of membership? The program runs on a calendar year basis. Does a Red Hat Accelerator officially represent Red Hat? No, they do not. Red Hat Accelerators do not represent Red Hat. For further information, please refer to the membership guidelines section above. Could the program be a conflict of interest with my current employer? The Red Hat Accelerators program seeks individuals who share their personal views and opinions through social media networks, blogs and/or through the community. If for any reason, a member candidate has any concerns about whether joining the Red Hat Accelerators program may conflict with their current employer's business practices and guidelines, then we encourage them to check with their employer first to ensure they are allowed to participate in the program before accepting membership. What are Red Hat's rights in content created by the Red Hat Accelerators? Any Red Hat Accelerator's generated-content (e.g., written blog, video chat participant, or audio podcast participant) that is created in collaboration between the Red Hat Accelerators program and a Red Hat Accelerator may be shared and distributed by all parties involved, including Red Hat and the Red Hat Accelerators community. A Red Hat Accelerator, upon accepting membership in the Red Hat Accelerators program, gives permission for Red Hat to share, reshare and distribute any content created by the Red Hat Accelerator. Red Hat will request additional permission before using any extracted or repurposed content (such as a quote or an insightful statement). How does Red Hat use and share personal data of Red Hat Accelerators? Privacy is important to Red Hat, and maintaining the trust of Red Hat Accelerators is paramount to us. How can a Red Hat Accelerator cancel his or her membership? If for any reason a current Red Hat Accelerator decides not to continue participating in the program, they are allowed to leave at any time. To opt out, they must send an email to: redhataccelerators@redhat.com expressing their desire to cancel membership from the program, and they will be excluded from any future, subsequent engagements. If you have questions about the Red Hat Accelerators program, please email: redhataccelerators@redhat.com. All details found in these Terms are subject to change. Red Hat reserves the right, at all times, to terminate all or part of the program known as "Red Hat Accelerators program" with or without notice. Red Hat will not be held liable in the event of such termination.